Bob Hurd presents wonderful lyrics that offer an amazing experience when singing at Mass. Ensembles, choirs and musicians can sing prayerfully with such emotion that will move and inspire the entire assembly. Bob Hurd is recognized as a Catholic music composer, whose compositions are sung in churches in dozens of countries around the world and in different languages. His songs are found in several bestseller liturgical music collections. 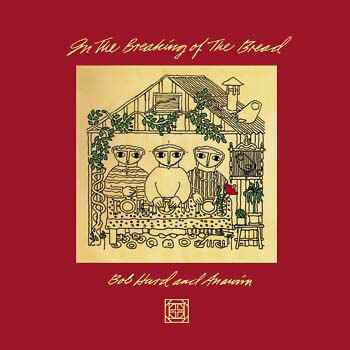 With In the Breaking of the Bread, Bob Hurd features 12 songs including the bilingual title song "In the Breaking of the Bread / Cuando Partimos el Pan," inviting Spanish speakers to worship with English speakers as one. The album contains many memorable songs arranged for guitar, keyboard, voice and solo instruments. Their power comes from Bob's sense of the completeness of God's love -- a love that nurtures, pursues, and challenges.